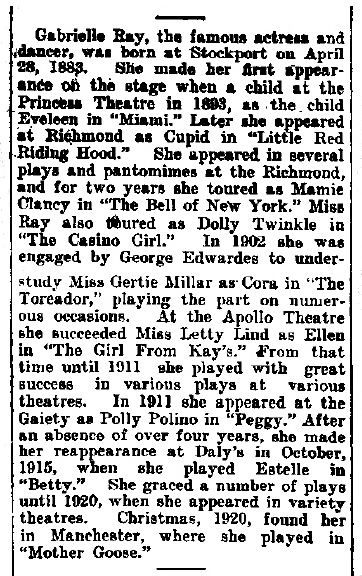 The previous section (Plays) gave a brief summary of the plays in which Miss Ray appeared. 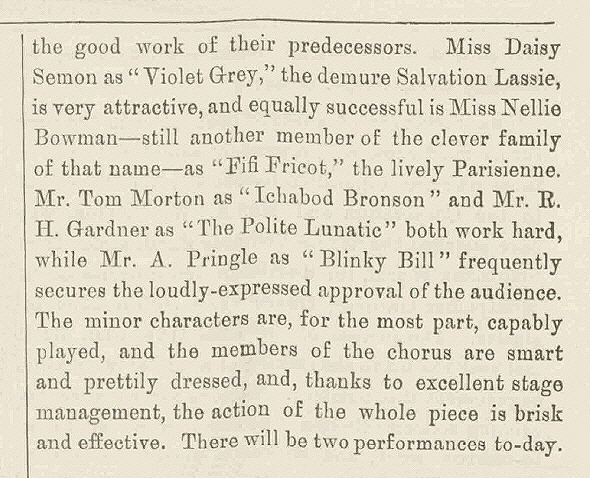 This section should provide greater details of each play, the cast and the run of each production. 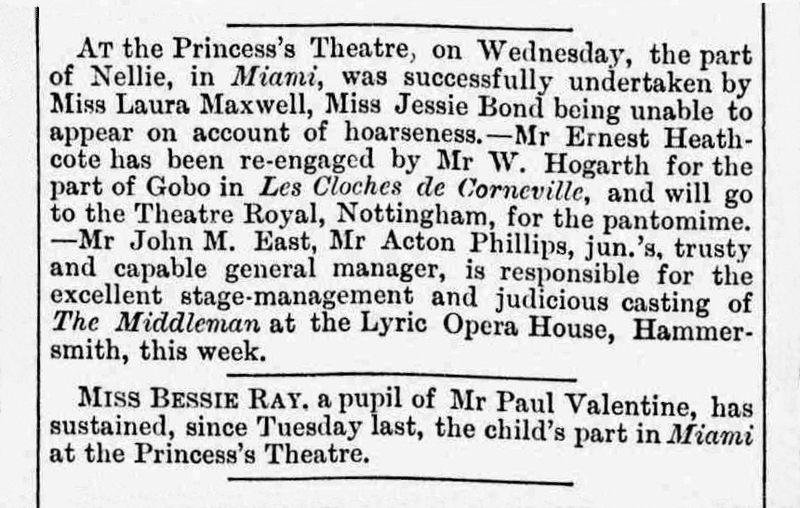 Miss Ray’s stage début was at the age of ten as “Eveleen” (a role shared with May Wallace) in John Hollingshead’s comic operetta, “Miami”  which was arranged from John Buckstone’s successful melodrama, “The Green Bushes”, (1845). 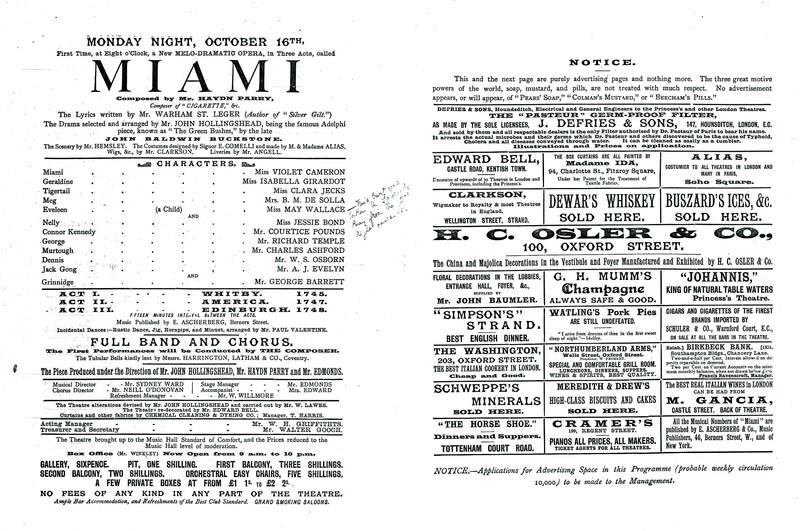 “Miami was produced at the Princess’s Theatre and ran for eleven performances from 16th October 1893 closing on 27th October 1893. 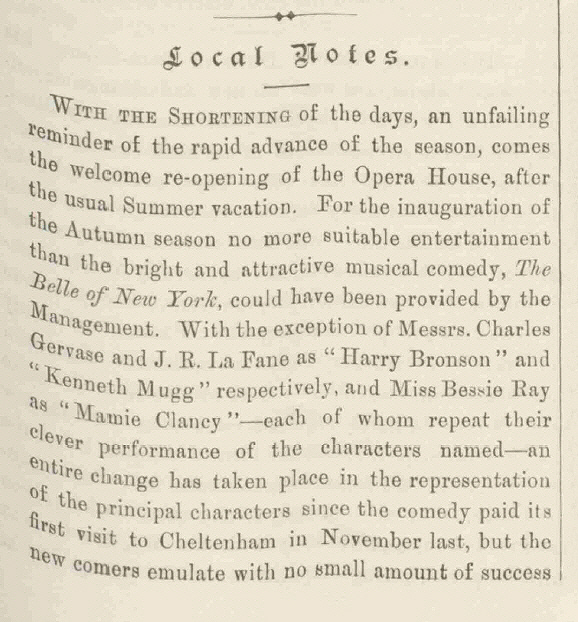 Financial problems were instrumental in the downfall of “Miami” at the Princess’s Theatre; Hollingshead, formally of the Gaiety Theatre had taken the Princess’s and had it refurbished to be a new “cheap theatre”. 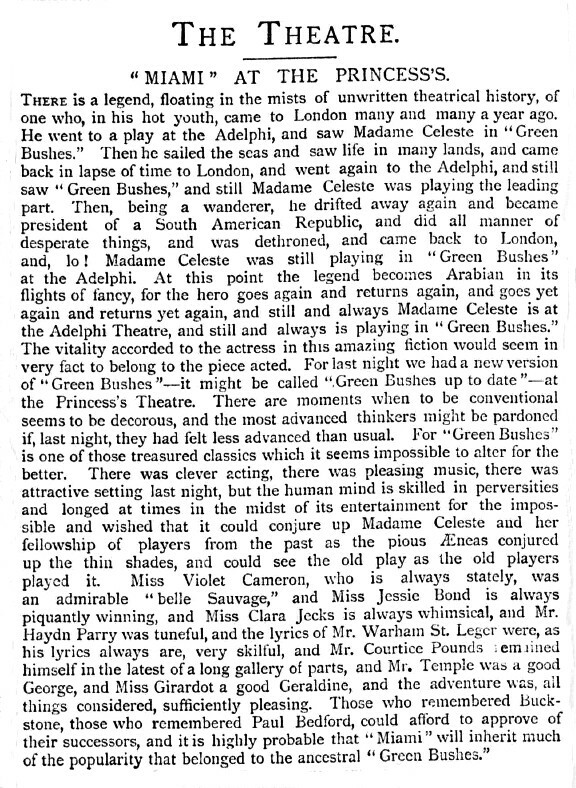 “Miami”, his first production was adapted from John Buckstone’s successful melodrama “The Green Bushes”. 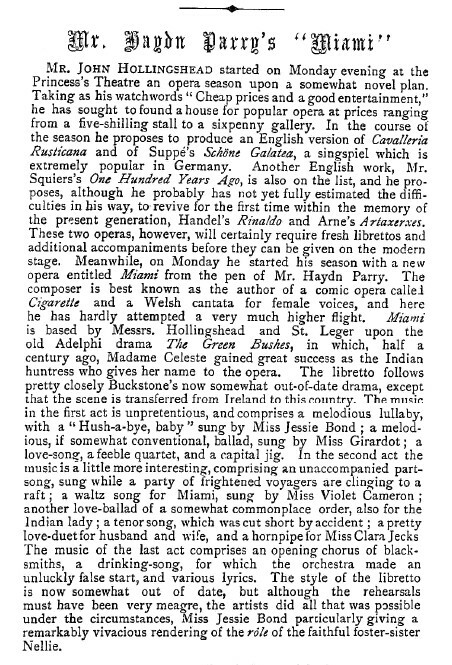 The play tells of Connor Kennedy, who for political reasons is forced to flee his native Galway, leaving behind his wife and child. Eventually he arrives in America, living on the shores of the Mississippi and sharing his life with the beautiful Franco-Indian huntress Miami. When Kennedy’s wife finally joins him in America the jealous Miami kills Kennedy and throws herself in the river. The final act sees Miami return a wealthy woman and restores Kennedy’s daughter to her mother before dying. 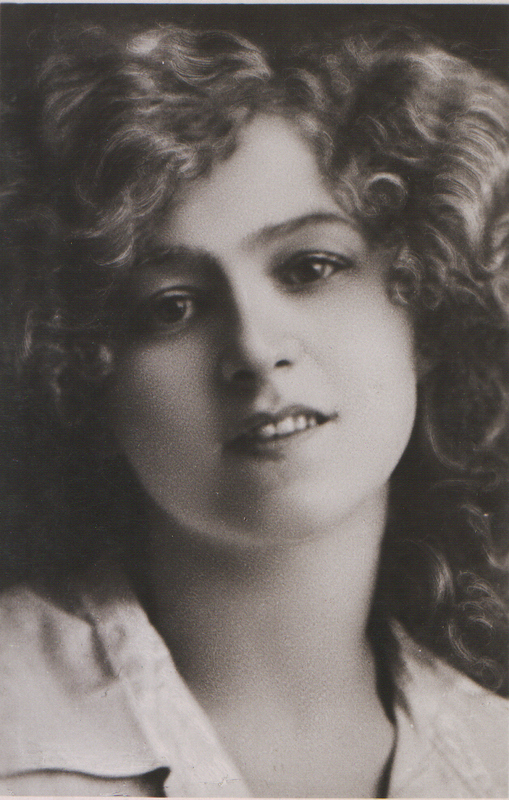 This then was the young Gabrielle Ray’s brief introduction to the theatrical world in what appears to have been a poorly devised play beset by financial and staffing problems.